When we talk about immigrant integration, we tend to focus on economic integration. While very important, economic integration efforts will not be successful without strategies for social and cultural integration. Not only are social and cultural integration just as important as economic integration, they tend to be more complex and, most importantly, they help pave the ground for economic integration. Economic integration is about integrating in the workforce. Social/cultural integration is about becoming part of a community. It requires shared experiences, mutual understanding and appreciation between the local community and newcomers. We always hear about social capital and cultural intelligence—your networks, friends, how you relate to each other, common points of reference such as sports, music, books, etc. This is what connects people. We often hear hiring managers talk about assessing the ‘fit’ of a job candidate, in addition to education and experience. How do you define fit in the corporate setting? This is intangible yet very important. In order to succeed at work, it’s not just about what you know, but who you know and who knows you. Integration is a two-way street. We tend to focus on supporting newcomers adapting to local communities; we also need to help local communities adapt to newcomers. Living parallel is not integration. Like a stir-fry, before putting all ingredients together, you first need to heat up the wok, and later add some sauce to allow all ingredients to mingle—you get a fusion of all cultures. Integration begins with respecting all cultures, but goes further. Multiculturalism means valuing contributions of all cultures to the common Canadian heritage and embracing differences. We have good policies in Canada: multiculturalism, employment equity, bilingualism, etc. We should be proud of these policies. However, policy can only go so far. It takes a community effort to turn a city into a welcoming community. Integration happens on the ground, and not simple because Canada has a policy on integration. It happens at work, in school yards and classrooms, at the hospital, in the neighborhood. It does not happen in a framework, but in places where people live, work and play together. To succeed, we need to constantly facilitate quality interactions between Canadians and newcomers, and build capacity on each way of the street, and in the middle. We need to keep the pot hot so that the flavour of all the ingredients come together and enhance each other. Dr. Jean Lock Kunz is a director with Policy Horizons Canada (formerly Policy Research Initiative). She leads projects on social innovation, social media, network governance, and multicultural diversity. 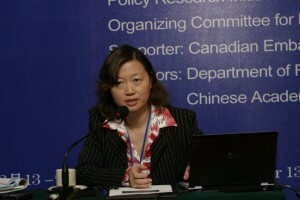 Her other areas of work include policy research on economic reform and migrant integration in China. 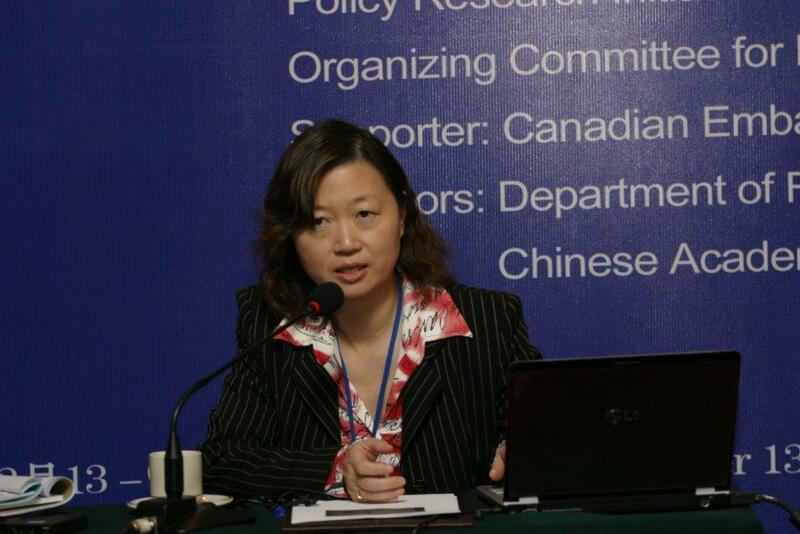 An immigrant to Canada, Dr. Kunz began her career in policy research at the Shanghai Academy of Social Sciences. She obtained her Master’s degree at the University of Toronto, and her doctorate at the University of Waterloo.